1974-04 Writer of several critical articles on Fine Art, Theatre, Films, Politics and Social Problems. 1974-81 Active participation in Marathi Experimental Theatre. 1978-80 Assistant editor, Bharat Shastra, a magazine devoted to Indian dramatic activities. 1979 Edited and published art magazine called Vedha, Bombay. 1980-01 Was working as chief sub-editor, Lokprabha, a Marathi weekly published by the Indian Express Group, Bombay. 1983-93 Member of the managing committee, Bombay Art Society, Bombay. 1986 Complied, edited and published Indias First Art and Artists, Bombay. Directory, Kala Kird, Bombay. 1987-97 Joint Secretary, Artists Centre, Bombay. 1991-93 Member of the managing committee, Jehangir Art Gallery, Bombay. 2001-03 Edited and published first Marathi art magazine called Chinha, Mumbai. Lives and works in Mumbai. 1977-81 G.D. Art in Fine Art and interior decoration from Sir. J.J. School of Art, Bombay. 1981, 82, 94 Joint exhb., Jehangir Art Gallery, Bombay. 1982 Monsoon Show, organised by Jehangir Art Gallery, Bombay. 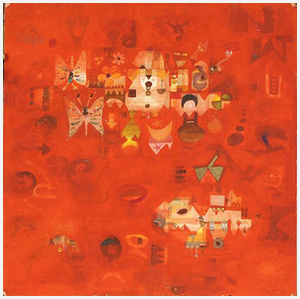 1988-97 Solo exhb., Jehangir Art Gallery, Bombay. 1989 Group exhb., Bajaj Art Gallery, Bombay. 1991 Miniature Format of Contemporary Paintings and Sculptures, organised by Lalit Kala Academy, New Delhi at Jehangir Art Gallery, Bombay. 1992 Group exhb., Artists Centre, Bombay. 1992, 93, 97 Group exhb., Jehangir Art Gallery, Bombay. 1993 8th Anniversary Show, organised by Designscape Gallery at Jehangir Art Gallery, Bombay. 1993 Group exhb., Gallery April, Bombay. 1993, 94, 95 Group exhb., The Gallery, Madras. 1993 Petits Formates Grands Cadeanx, organised by Alliance Francaise, Madras. 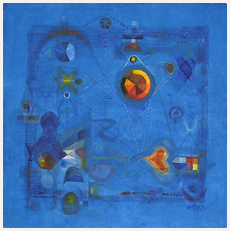 1994 Contemporary Arts of India, New York. 1995 Group exhb., Display Gallery, New Delhi. 1997 Group exhb., Sans Tache Art Gallery, Mumbai. Ministry of External Affairs, Govt. of India, New Delhi. Ministry of Finance, Govt. of India, New Delhi. Lalit Kala Academy, New Delhi. National Gallery of Modern Art, Mumbai and Delhi. Directorate of Art, Maharashtra State, Mumbai. Nehru Centre, Mumbai. Chandigadh Museum, Chandigadh. Spear (Skypak Couriers), Mumbai. Gallery Chemould, Mumbai. Premier Automobiles Ltd., Mumbai. Indana Pvt. Ltd., Mumbai. Essar Group, Mumbai. S. Kumar Group, Mumbai. BPL Group, Mumbai. Bombay Gas, Mumbai. ICICI, Mumbai. SSK Finance Ltd, Mumbai. Arther Anderson, Mumbai. Tata Services Ltd. New Delhi. Jindal Group, Mumbai. Delhi Art Gallery, New Delhi. 1981 Natyadarpan Award for one-act play writer of the year, Natyadarpan Trust, Bombay. 1982 Prize for one-act play writing competition from Kala Sargam, Thane. 1986 Prize for one-act play writing competition from Natyadarpan Magazine, Bombay. 1987 Late Dinanath Dalal Award for editing Chinha, art magazine from Marathi Patrakar Sangh, Bombay. 1992-93 Rajya Puraskar, Maharashtra State Art Exhb., Bombay. 2004 Third prize for editing, Chinha, art magazine from Ramsheth Thakur Trust, Panvel.